Along with eager smart grid acquirers EnerNOC (s ENOC) and GridPoint, looks like Honeywell (s HON) is becoming yet another firm to sell your smart grid startup to. On Thursday, building automation giant Honeywell said it has acquired E-Mon, a thirty-year-old company based in Langhorne, Pennsylvania that sells submetering hardware and software. Submetering gear measures the variable energy consumption in large buildings (beyond the smart meter), and is used by owners of apartment complexes, commercial buildings, and industrial factories to determine the energy consumption of specific sections of the building. The acquisition comes on the heels of in May Honeywell snapping up Akuacom, a company that is building open source-based demand response technology. It makes sense for Honeywell to continue to add on more detailed digital intelligence capability to its building automation system. Per usual with a lot of these smart grid acquisitions, the terms of the deal weren’t disclosed, but Honeywell bought the company from investment firm Branford Castle, which in turn bought the company from Hunt Power in 2007. E-Mon says it brought the first “fully electronic submeter” to market, has 4,000 distributors, and works with customers like the U.S. government, Verizon, Ritz-Carlton, and Pepsi. Honeywell — along with competitors Johnson Controls (s JCI), Siemens (s SI), Schneider Electric, and Echelon (s ELON) — are increasingly turning to partner with and purchase innovative smart grid startups to remain competitive and grab market share. Some of these building automation folks have been less aggressive in purchasing startups than some of their peers in the networking and demand response space (ie, GridPoint, EnerNOC), but it looks like Honeywell has woken up to the potential of acquiring technology innovation. 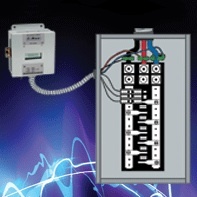 Ventyx “Close to $1 billion,” March 2010 The Swiss electrical gear company adds on smart grid software. Enspiria Undisclosed, March 2010 The consulting and engineering company beefs up its integration capabilities. Richards-Zeta Building Intelligence Undisclosed, January 2009 Cisco buys up building and IT networking system. Grid Net Undisclosed, Sept. 2009 Cisco invests in smart meter maker Grid Net, which has a first product built on WiMAX. Eka Systems Undisclosed, April 2010 Cooper fold’s Eka’s wireless network product into its automation system. Cogent Energy Undisclosed, Dec. 2009 Demand response player moves into energy efficiency business. SmallFoot Undisclosed, March 2010 The demand response player buys wireless tech for small commercial buildings. eQuilibrium Solutions Undisclosed, June 2009 EnerNOC adds on energy and carbon accounting software. MDEnergy $7.9M, Sept. 2007 EnerNOC buys energy procurement service provider. South River Consulting $4.75M, May 2008 EnerNOC adds on more energy procurement and risk management. V2Green Undisclosed, Sept 2008 The smart grid company adds on electric vehicle smart charging. Lixar SRS Undisclosed, June 2009 GridPoint moves into home energy management. ADMMicro Undisclosed, Nov 2009 The smart grid firm tackles energy from the commercial and industrial sectors. Energy4U 60 percent stake, Aug. 2009 The electrical gear company adds on software for intelligent metering and billing. Greenbox Undisclosed, Sept. 2009 Smart grid network player jumps into home energy management. Applied Mesh Technologies Undisclosed, Nov. 2008 The smart grid network maker buys a competitor to grow. SkyPilot Undisclosed, May 2009 Smart grid network maker acquires wireless mesh network maker. Better products and way better service.